DT12!! NEW VIRGIN DRIVES!! Remaining factory EW3 engine warranty up to 48months/500,000 miles, whichever comes first, including after-treatment plus trans and rears for 5yrs/750,000 miles, for worry free ownership! Premium new virgin BF Goodrich or equivalent drive tires. 12 Speed Freightliner automated transmission. Bunk heater to keep you warm with the main engine turned off, hands free phone connectivity with Bluetooth and USB/AUX ports, diff locks/traction control/fog lights/heated power mirrors for snow/mud bad weather. Collision mitigation/Lane alert for your safety. Tire chain rack and spare tire rack. 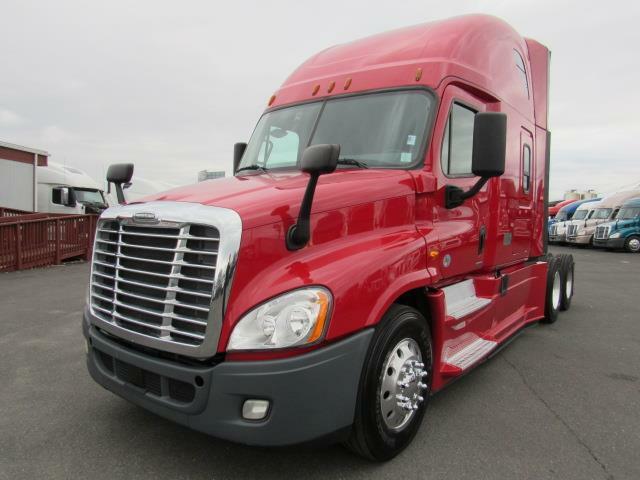 Dual air ride luxury seats,power windows/locks, spacious double bunk with lots of storage, suspension drop to get under low trailers without having to wind-up landing gear, easy clean rubberized floor!